Do you want to engage and live chat with your website visitors? Do you want to handle email tickets, answer voice chats, Tweet or Facebook chat, create and manage knowledge base from one place? 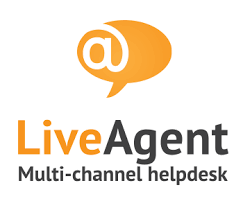 With LiveAgent Live Chat & Helpdesk, you are just a click away. LiveAgent is a powerful “all-in-one” customer support software used by small and medium sized businesses. Installation is fast and easy and no coding skills are required.